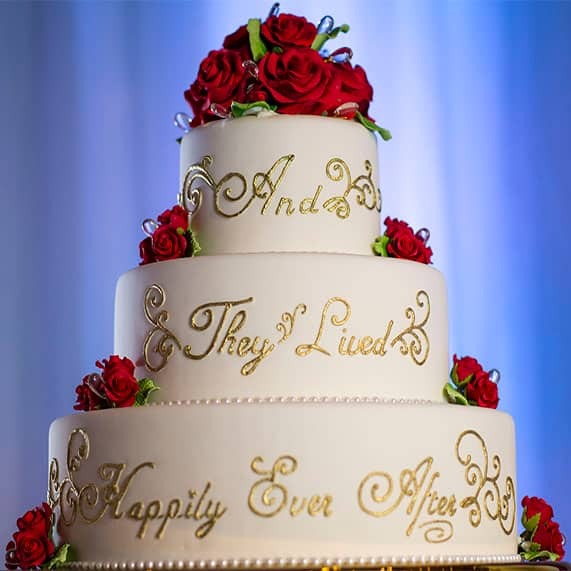 Today's Wedding Cake Wednesday promises a very sweet happily ever after. Begin the rest of your life together with this three-tier, white wedding cake inspired by a fairy tale and adorned with luscious red roses. Love never tasted so sweet.